Pogo Linux Tech Blog l | Page 2 of 12 | The latest in Open Source servers, workstations and storage technologies. Movember is here, already! As some of the guys here at Pogo Linux work on their mustaches, we are doubling down on our commitment to rapidly deliver the perfect custom solution to each customer. We realize the importance of meeting those budgetary deadlines at the end of the year. We are your team of experts, working tirelessly to ensure your IT infrastructure is ready for the challenges coming up in 2018. We have just relocated Pogo headquarters to a new state-of-the-art facility designed to optimize the efficiency of our production, support, and R&D departments. Our efforts are already paying dividends. Order fulfillment times are shorter than ever, as are the lives of support tickets in our system. If that wasn’t enough, our R&D engineers are able to qualify new hardware and software more rapidly then ever before. The end result? We bring our products to the market sooner, and fulfill your orders more quickly. Equally importantly, our famously responsive support department has become even more efficient, cutting downtime to the absolute minimum. A few months back, we introduced Intel’s latest data center CPU line, the Intel Xeon SP Product Family™. 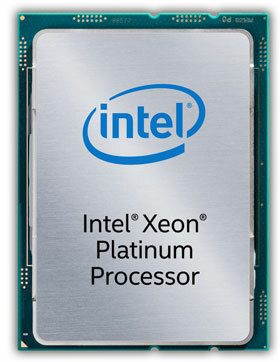 We unveiled several new high-end servers, featuring the top-of-the-line Intel Xeon SP Platinum™ series CPU. Though, they have been very well received, not every workload requires a system with 28 compute cores! We have begun augmenting our selection of Intel Xeon SP based systems with a well balanced offering of new systems. We’ll be introducing several more over the next few weeks. Here are this week’s featured systems. Looking for lots of processing power and a solid feature set without breaking the bank? 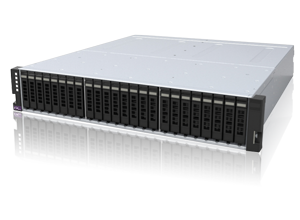 The Iris 2291 T features dual Intel Xeon SP processors, 8x hot-swap SAS or SATA drive bays, redundant power, and 10GBaseT. Do you like the specs of the Iris 2291 T, but don’t need the doubled processing power of dual Xeon SP processors? The 2190 is your best bet. It runs a single Xeon SP CPU, with the same 8x hot-swap drive bays, 10G Ethernet, and redundant power supply. The Iris 1191 packs a terrific amount of computing power into a diminutive package. The 1191 boasts a single Intel Xeon SP CPU, 4 hot-swap SAS or SATA drive bays, and an accessible price point. The Iris 1191 brings the impressive feature set of the Intel Xeon SP processor to a versatile platform for a wide assortment of workloads. Once again, Paul, our VP of Sales & Product Development was the special guest on The Lunduke Show. He spent an hour with Bryan discussing the latest developments in solid state storage technology. They also tackled some of the tough questions, such as “Was there an M.1?” and how fun it is (or is not) to walk the plank in VR. We are pleased to announce that OSNEXUS has just granted their QuantaStor certification to the Pogo Linux J2240S storage server. This 2U 24 bay JBOD from HGST boasts 100% flash based storage thanks to the reliable performance of HGST SSDs. 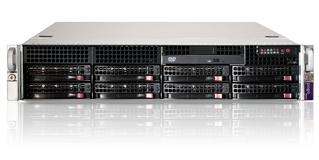 The J2240S is the no-compromise / maximum performance foundation for your QuantaStor SDS deployment. The newly certified Pogo Linux J2240S is a key element of next generation software-defined storage (SDS) systems. The Platform balances performance with capacity, delivering high IOPS, low latency at up to 184TB capacity. It also offers flexibility to improve compute-to-capacity ratio by decoupling available storage from CPU resources. OSNEXUS QuantaStor SDS makes scaling up and scaling out an easy task, exceeding storage requirements of organizations large and small. HGST storage products have proven themselves to be affordable, reliable, and high-performance. Pogo Linux is the ideal partner to help you take full advantage of these great technologies. Talk to an engineer at Pogo Linux and find out how a Pogo Linux J2240S with OSNEXUS QuantaStor can redefine your storage architecture. Next week, we are celebrating our partnership with CloudByte by sharing a booth with them at the Open Source Summit in Los Angeles. Stop by the booth and learn about Pogo Linux storage solutions running OpenEBS by CloudByte. Be sure to enter our drawing. 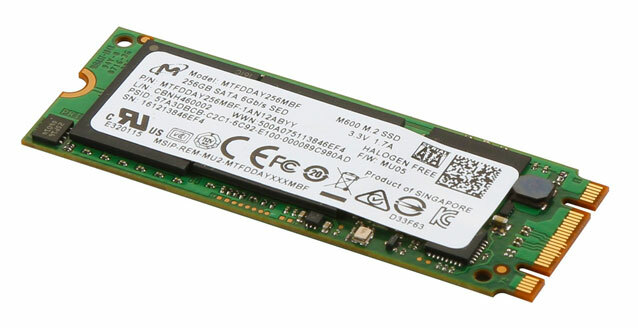 We’re giving away a 2 TB Solid State Drive to a lucky attendee! OpenEBS by CloudByte offers cloud native block storage for stateful applications. Highly scalable scale-out storage with per-volume metadata management is at the foundation of the design. Couple this with Pogo’s proven expertise in software-defined-storage for a highly scalable and incredibly reliable storage solution. The Open Source Summit takes place at the JW Marriot L.A. LIVE in downtown L.A. next Monday through Thursday (September 11 – 14). Click here for all the details. See you there! IMAGINE seamlessly integrating a cloud-based storage appliance that works in perfect harmony with your on-premise storage solution. INTRODUCING a hybrid cloud storage solution that combines on-premise Pogo Linux Storage Director appliances with the OSNEXUS Virtual Storage Appliance (VSA) for Microsoft Azure. The Pogo Linux Storage Director series of SDS appliances is the ideal building block for creating a hybrid cloud storage solution. By providing many different storage and connectivity options, organizations can take advantage of the cost, performance, and security advantages of having local large-scale storage, without sacrificing the benefits of a cloud-based storage solution. By creating a storage grid between the on-premise Pogo Storage Director and the OSNEXUS VSA hosted in Microsoft Azure, customers can seamlessly serve storage to both local and cloud applications in a completely integrated environment. This hybrid approach optimizes cost, performance, and security to help customers get the most out of their IT resources. Pogo Linux is now including a QuantaStor VSA cloud license key with all of their OSNexus based Storage Director series appliances. The key will provide a QuantaStor VSA cloud license for the Microsoft Azure platform. 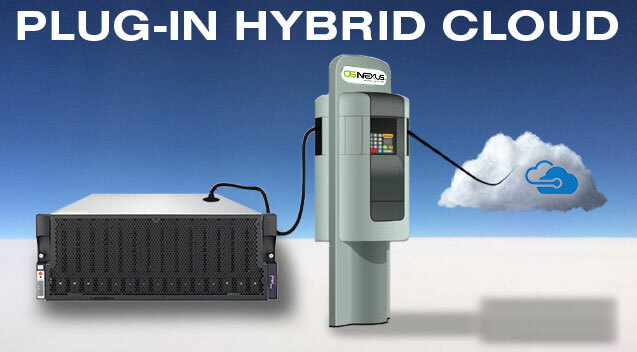 Contact a Pogo Linux sales engineer to configure your ideal hybrid cloud storage appliance with and OSNEXUS QuantaStor VSA license for Microsoft Azure. Paul Bibaud, our VP of Sales & Product Development, just made his second appearance on The Lunduke Hour. This time out, he spoke with Bryan at length about the newly unveiled datacenter platforms from AMD and Intel. It’s a rare event that we get brand new high-end processors from the big two manufacturers at so nearly the same time. Paul and Bryan talked about the product launches, looked at benchmarks, explored the strengths of each platform, and had a few laughs. Here is a better look at the front and back of each CPU (click for full size). 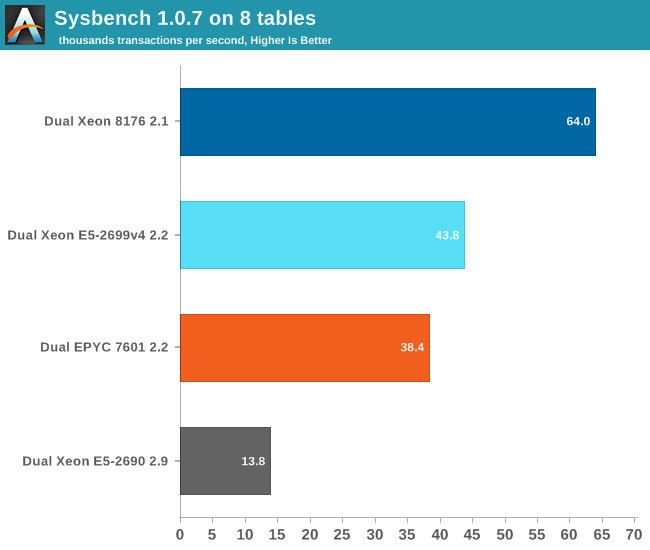 Here is the benchmark graph showing the strong multi-thread performance of the AMD EPYC. 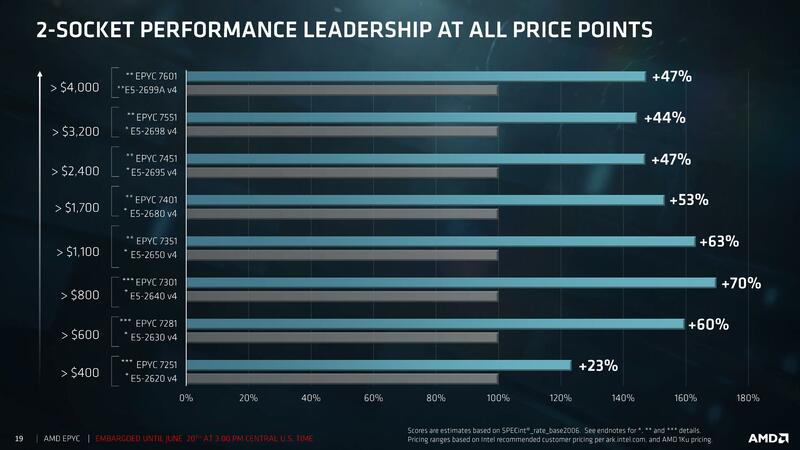 Here is the graph from AnandTech showing Intel’s superior performance in transactional database performance. As Paul explained in the video, both of these new platforms are very impressive. Each has strengths in key areas. 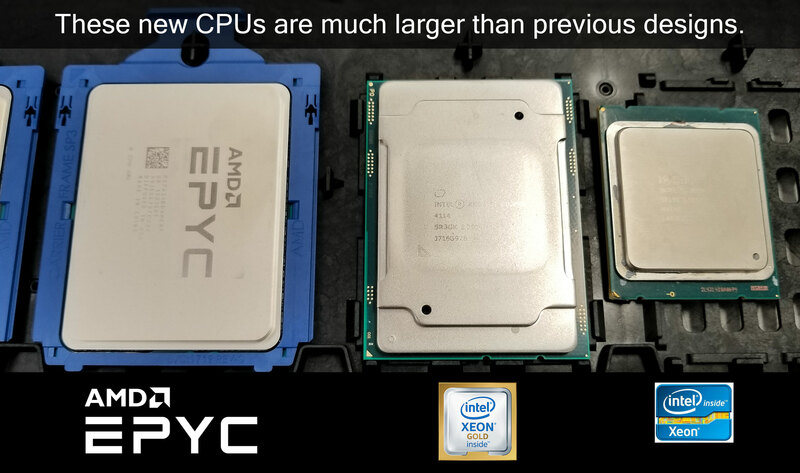 In a single-CPU configuration, the AMD EPYC is the clear choice, with its 128 PCI lanes versus 48 on the Intel Xeon SP. For raw performance the Intel comes out ahead in every category save floating point. However, the AMD chips frequently have more cores. As always, the workload will dictate which is best. When researching a new IT purchase, navigating the available hardware options can be daunting, especially when dealing with brand new architectures. We strongly recommend contacting Paul and our Sales Engineering team for up-to-the-minute advice. We will help ensure you get the ideal solution for your workload and budget! OSNEXUS has just certified the Storage Director Q2E for their QuantaStor SDS platform, making this the first AMD™ EPYC™ system to receive the designation. The recently unveiled AMD EPYC processor has shown great promise as a storage platform and this promise has just been realized with the Pogo Linux Storage Director Q2E software defined storage (SDS) node. OSNEXUS QuantaStor SDS delivers a complete array of enterprise features and capabilities for file, block, and object storage. QuantaStor SDS addresses a broad set of storage use cases including server virtualization, big data, cloud computing, and high performance applications. Compared to previous generations, the Storage Director Q2E provides a huge step forward in computing, IO performance and bandwidth. Not only does the new AMD EPYC platform greatly increase performance, the platform also reduces costs by allowing the full use of all IO connectivity with only a single processor. In most storage deployments, a powerful appliance or head node makes all the difference. However, most storage systems are not CPU bound. The critical attributes are number of I/O lanes, bandwidth, and available memory. Storage systems require maximum connectivity (lots of PCIe lanes) and high memory counts (lots of caching). Processing power is often a secondary concern. AMD EPYC processors allow a single processor storage system to maximize performance while saving upfront costs and decreasing power consumption. Talk to an engineer at Pogo Linux and find out how a Storage Director Q2E can exceed your expectations. As IT professionals, we all work hard to keep our company’s stored data secure, yet available. We spend a great deal of time and money on ensuring the privacy and integrity of the information our organizations need to store. 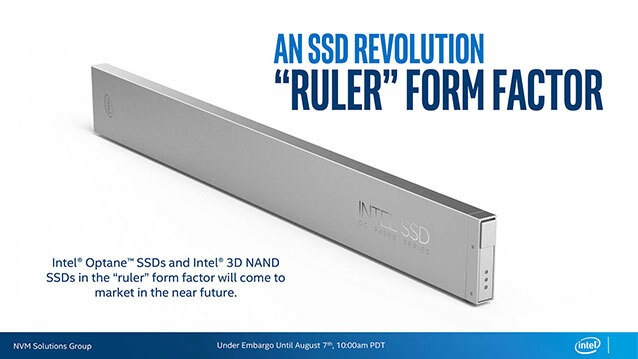 On the long list of mandatory hardware and software components for any secure IT environment, one line item that sometimes overlooked is redundant power. 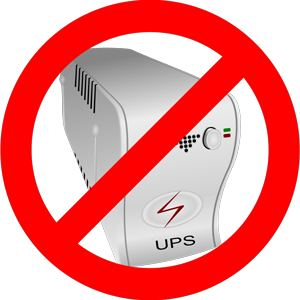 Frequently, smaller organizations do not have the budget or physical space for costly Uninterruptible Power Supplies (UPS). Nonetheless, the necessity for protection from power outages is always a concern. Pogo Linux now offers an elegant solution to the power conundrum – two well-appointed 4U storage servers with optional built-in UPS battery backup. In the case of a power outage, the system can shut itself down gracefully, using no additional hardware outside the system itself. It is designed from the ground up to be the complete storage solution for organizations requiring on-premise secure data storage with 24-7-365 data availability. 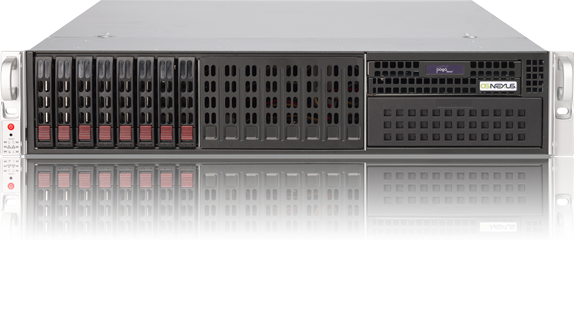 The Iris 429-24 storage server boasts the best of the latest technologies, such as Intel™ Xeon™ SP processors, up to 512 GB DDR4 memory, redundant power supplies, redundant 2.5″ OS drives, and up to 24 SAS or SATA drives. The Atlas 413-24 sports the same great overall feature set, built atop the new AMD™ EPYC™ platform. 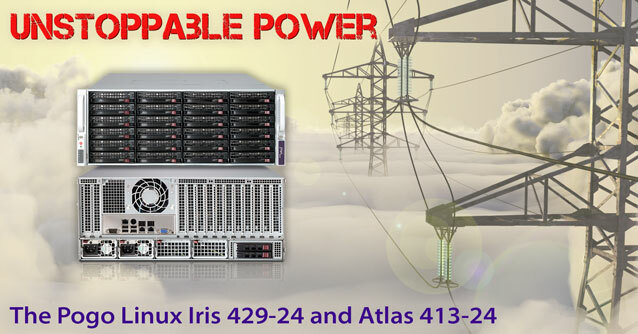 Enjoy the peace of mind that uninterruptible storage brings to your organization with the Iris 429-24 and Atlas 413-24 Storage Servers. Sign up for our newsletters! To learn about how Pogo can help you tackle the technological challenges your organization is facing, please call us at 888-828-POGO, or email sales@pogolinux.com. 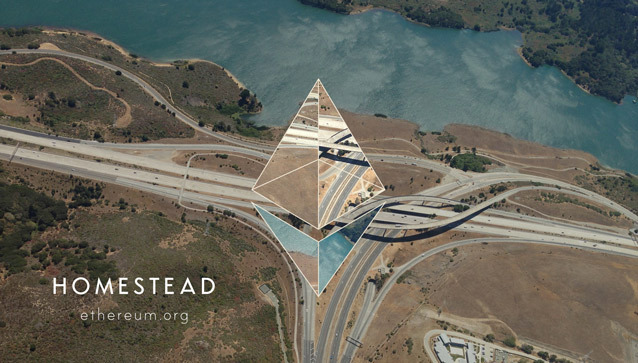 Ethereum is a community-driven project aiming to decentralize the internet and return it to its democratic roots. It is a platform for building and deploying applications which do not need to rely on trust and cannot be controlled by any central authority. Want to try mining? Here’s how to get started. The first step is to set up a wallet. You will need a wallet address to store Ether or make transactions. A wallet is essentially a log which keeps track of transactions between people. You can use online or desktop wallets to store this data. The easiest is going to be an online wallet. Two suggestions for an online wallet are MyEtherWallet and Coinbase. Though Coinbase may be easier to set up, MyEtherWallet allows for exporting to other applications. Once you get your wallet set up, download your keystore file. You will need to ensure you keep this file, and the generated private key. You will also want to research and choose a pool. A pool is a collection of miners that are jointly working to solve a block faster than one single miner. By joining a pool, you can gain ether for blocks you help solve, rather than blocks you only solve on your own. There are many different public pools with different payoffs and percentages. Research pools to find one you are comfortable with. We chose ethermine.org for our short term testing. Once all that is set up, you will need a system that supports a modern linux distribution and a modern GPU. We used our Tempest M2 system as a base which consisted of a Core i7-6700k, 16GB of Ram and a GeForce GTX 1070 GPU. CPU selection is not critical, so there is no reason not to get a more affordable CPU such as an entry level Celeron or Pentium. For Linux running at the command line only, you can get away with 4GB-8GB of ram. ./ethdcrminer64 -epool <Mining_Pool_Address> -ewal <Your_Ethereum_Wallet_Address>. After that, just run the script and start mining! It will take some time for things to get going, and it is recommended to script this into a screen as well as auto startup if you plan on mining long term. 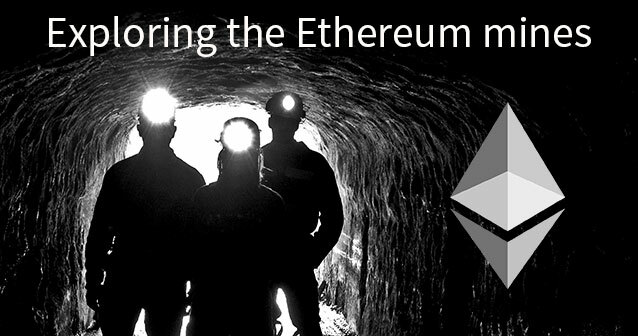 Finally, be sure to check out the EtherMining subreddit. There is a lot of useful information there. Do you have questions about Ethereum and the hardware to start your own mine? Please let us know.